How are you getting on? I hope it’s getting a little bit easier to recognise the letters. 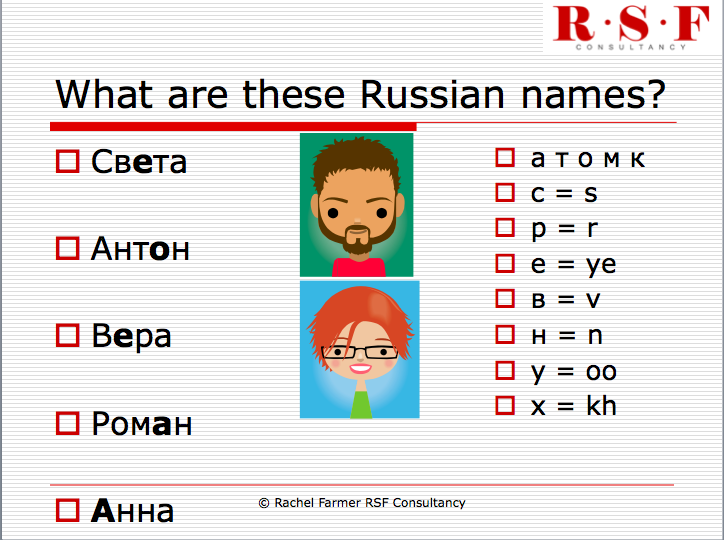 Now have a go at reading these Russian names out loud, using the same 12 letters of the Russian alphabet. When you have had a go, scroll down for the answers. Svyeta, Anton, Vyera, Roman, Anna. 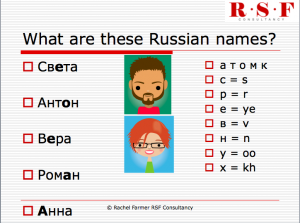 Did you get them right? Great job! All the names that end with -a in this list are girls’ names.